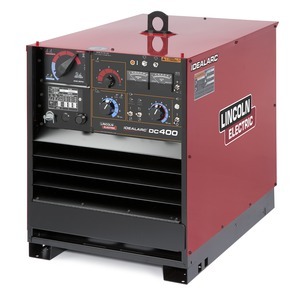 Multiple Tasks: MIG, FCAW, Stick, TIG Lift – designed for many jobs! 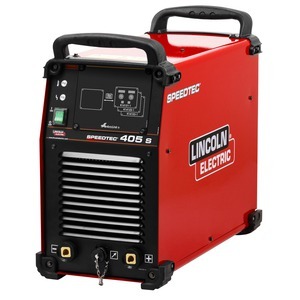 SPEEDTEC® 215C is a small but powerful single phase inverter based, multi-process machine. It has been equipped with colour TFT User Interface which makes welding set up fast and easy. 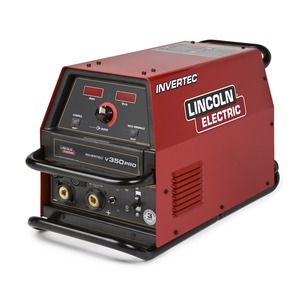 Built in synergic mode, helps to find optimal welding parameters based on Amperage, WFS or material thickness. 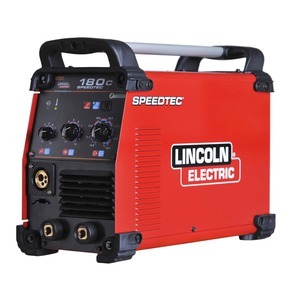 SPEEDTEC® 215C is designed for MIG, Stick or TIG applications. 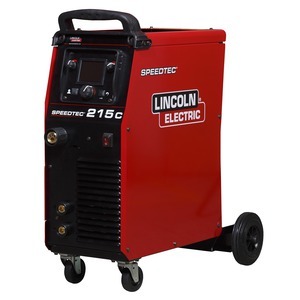 You can get maximum output of 200A at 25% of duty cycle and weld with either solid wires up to 1.0mm or cored wires up to 1.1mm. The welding performance gives excellent results for steel, stainless steel and aluminium. Machine works perfectly with mixed gas and 100% CO2 also with self-shielding wires (Innershield). Thanks to active PFC module, you can consume up to 30% less energy versus conventional rectifier welding machines. Multiple Tasks MIG Synergic and Manual, FCAW, Stick, TIG Lift. Excellent welding characteristics with all proccesses. Smart housing 15kg spool, helpful shelves, useful in workshop or production workshop. User Friendly icon control panel: makes set up is easy for experts and beginners. Power Factor Correction (PFC): gives more power to arc, consumes up to 30% less energy*, works on 100m extension cable.